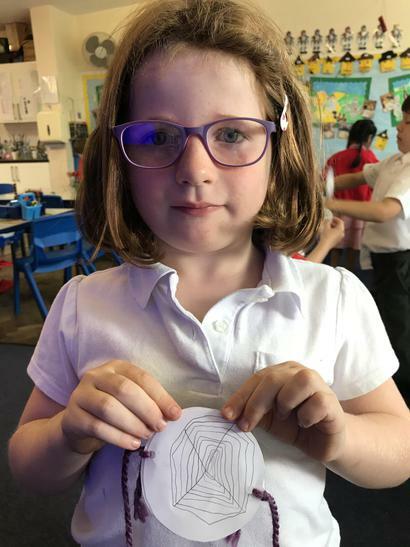 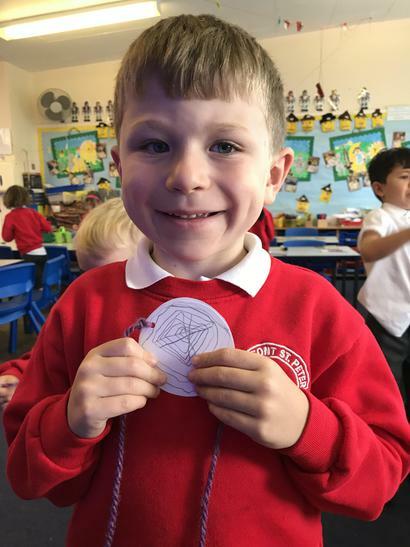 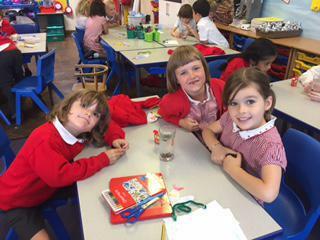 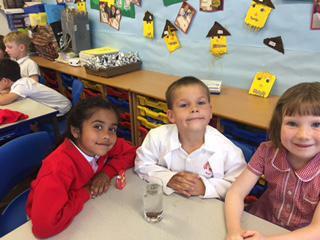 What an amazing and exciting week we have had in Oak Class! 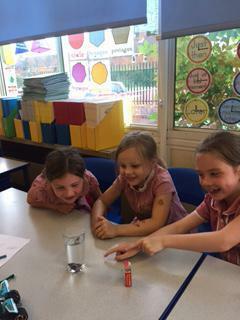 There were so many activities and we tried very hard to understand why each investigation or experiment actually did what it was doing! 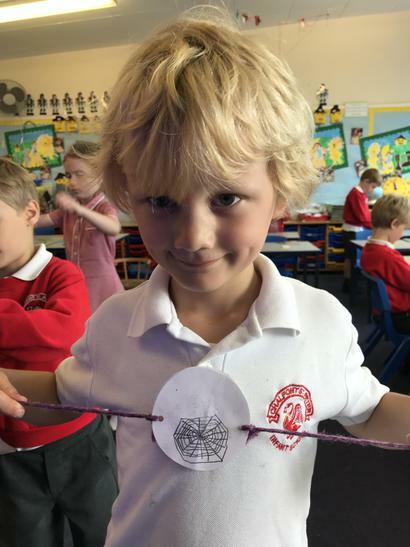 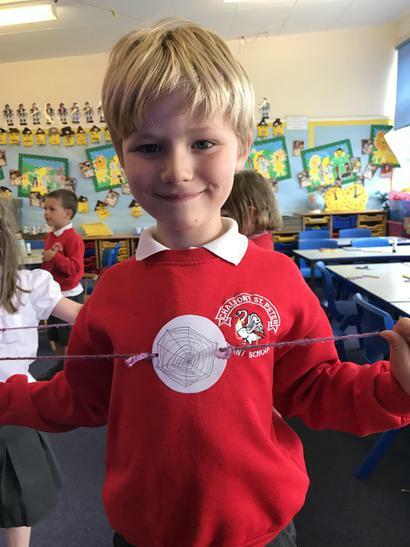 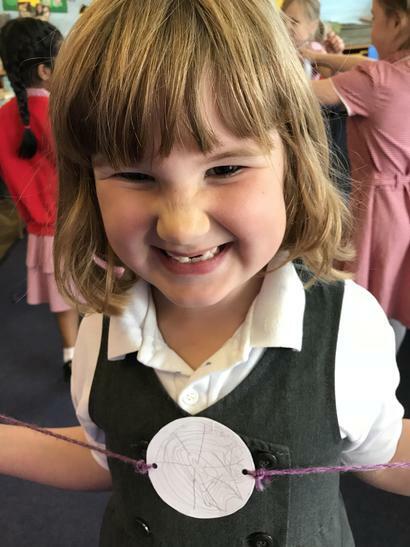 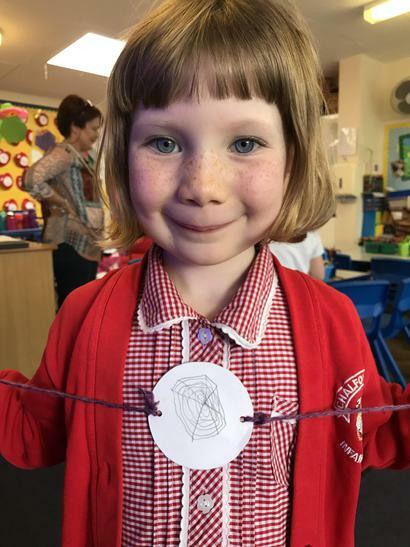 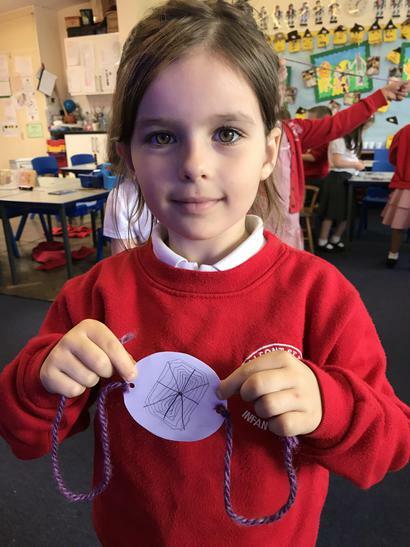 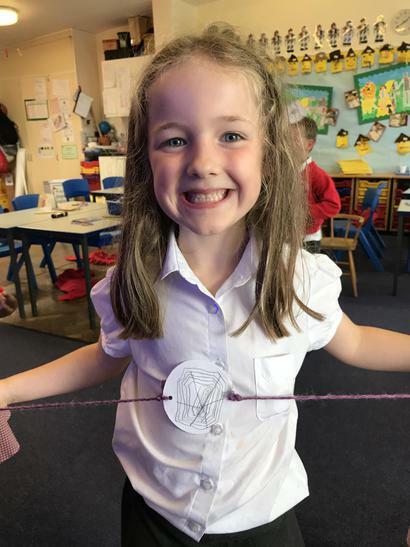 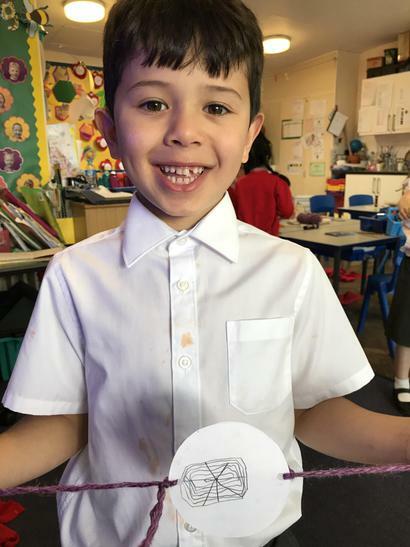 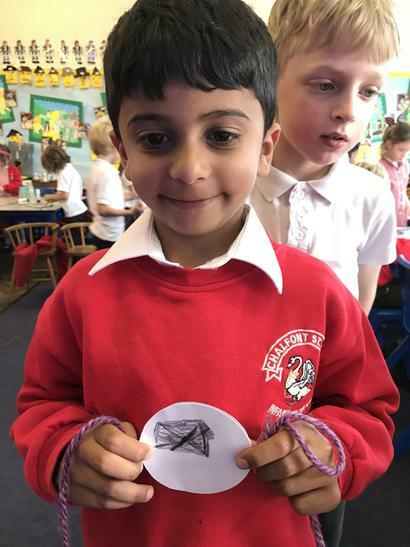 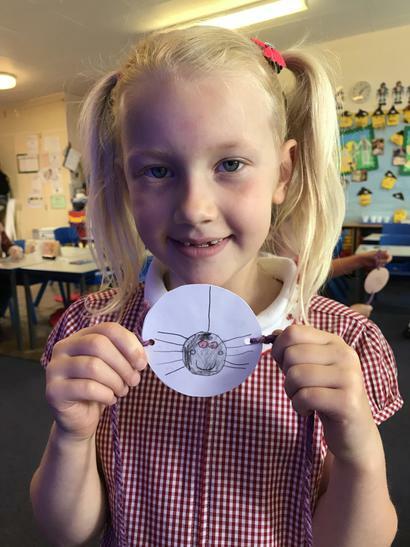 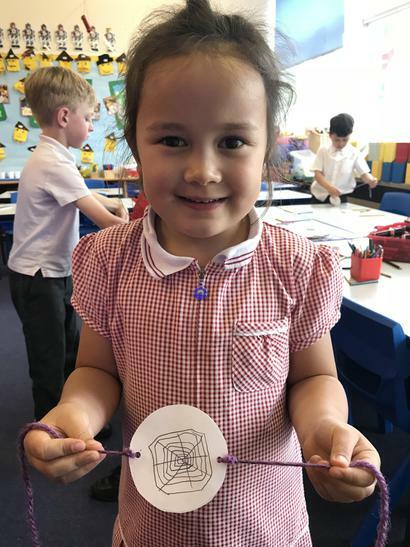 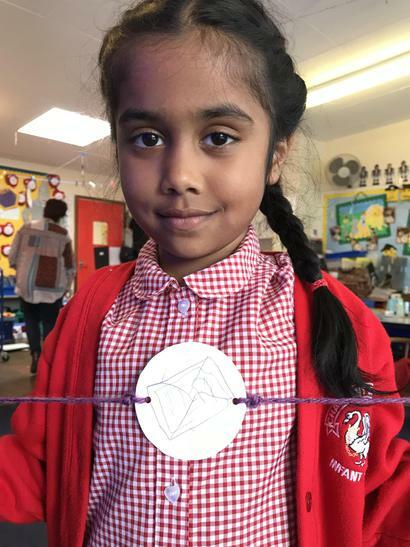 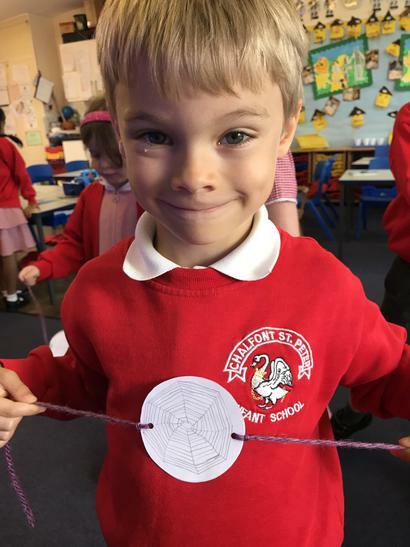 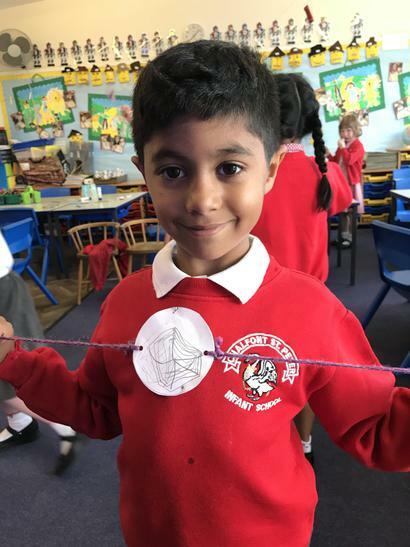 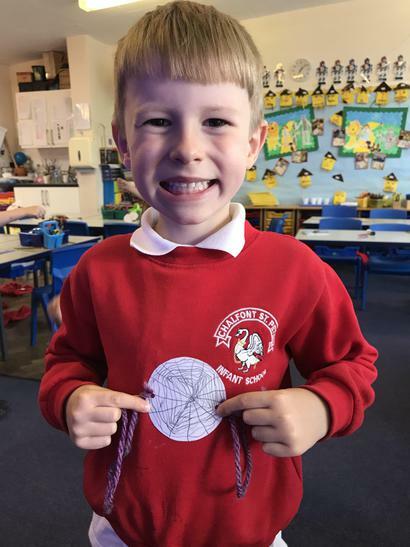 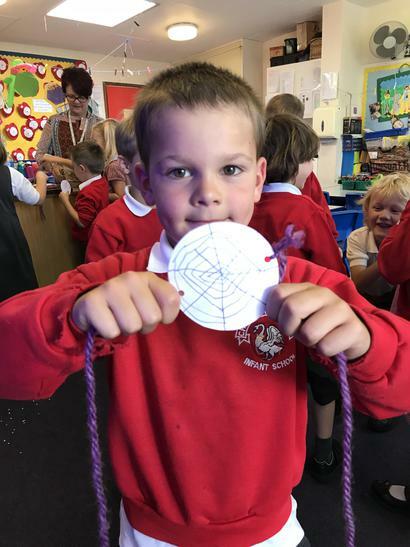 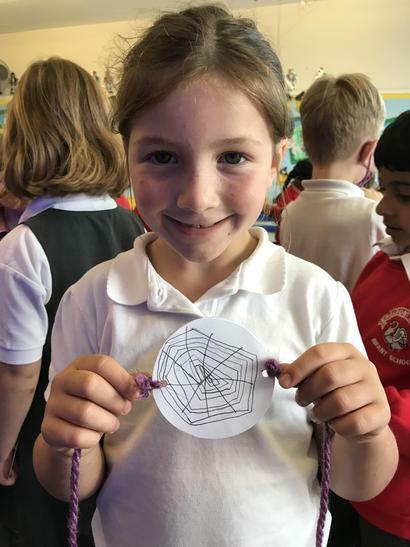 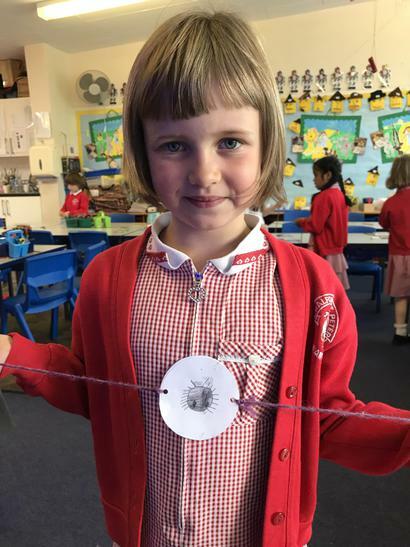 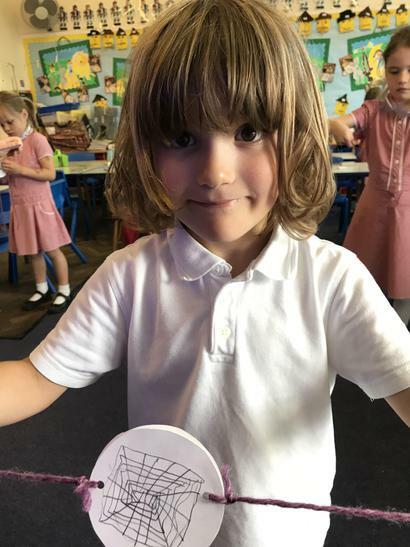 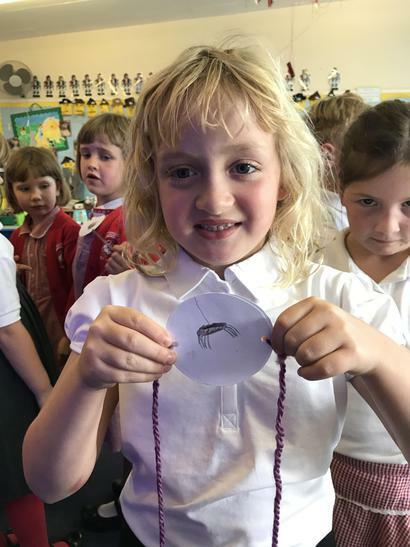 Tuesday: We made 'Spinning Spiders' that tricked our brains into thinking that the spider was actually in the web! 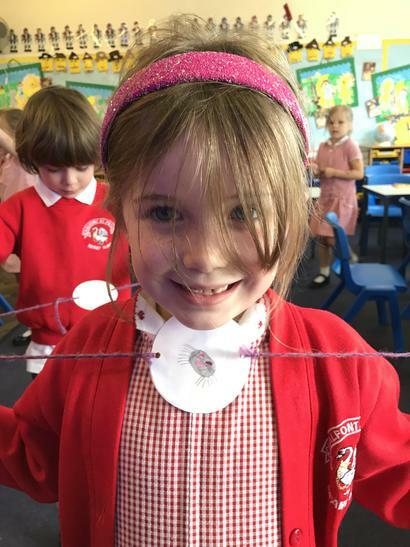 Then we made our own thaumatropes where we were twisting the images between our hands. 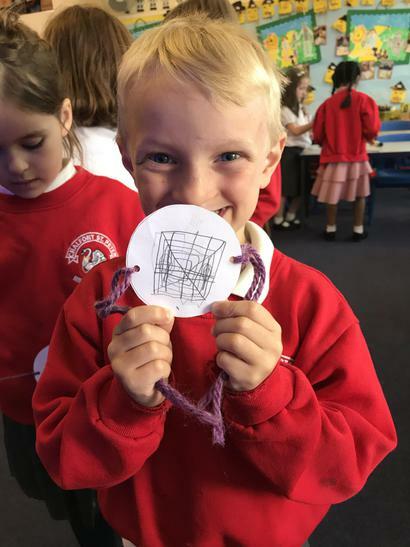 We had brilliant ideas! 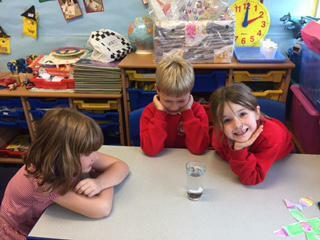 Thursday: Today we enjoyed some experiments with water. 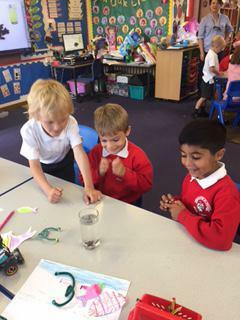 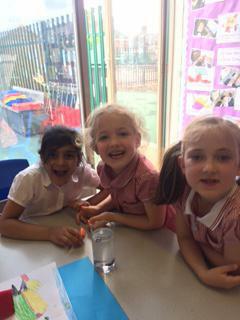 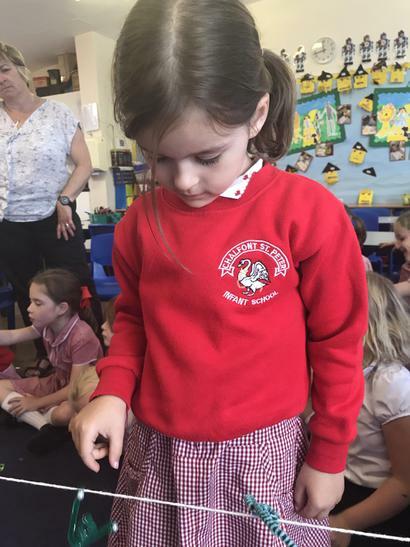 We were amazed when we put washing up liquid on a cardboard fish and it suddenly 'swam' through the water! 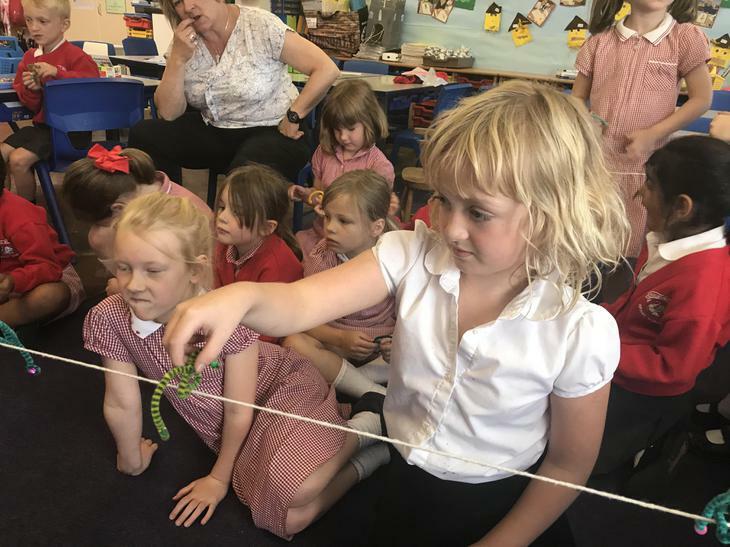 We were all very brave to 'Defy Gravity'. 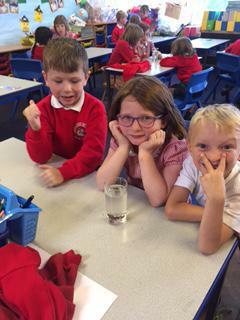 If you put a piece of card over half a beaker of water and turn it upside down the water will stay inside! 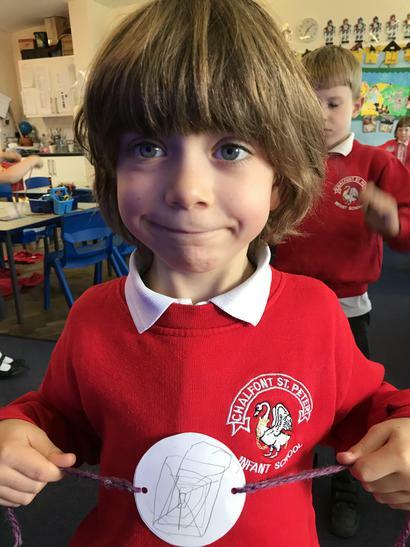 We dare you to try it! 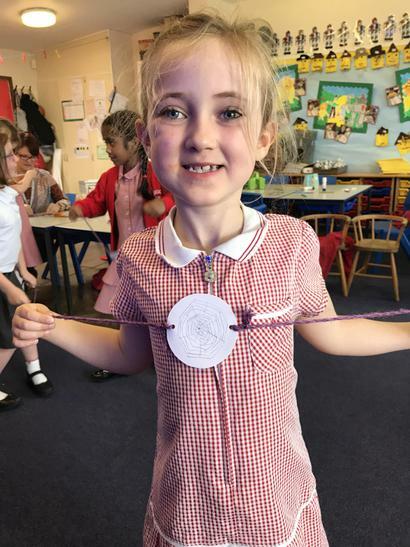 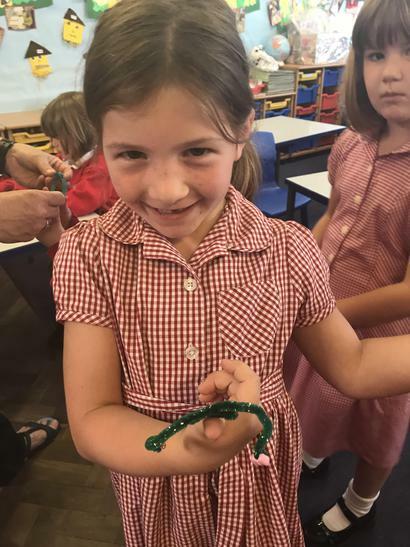 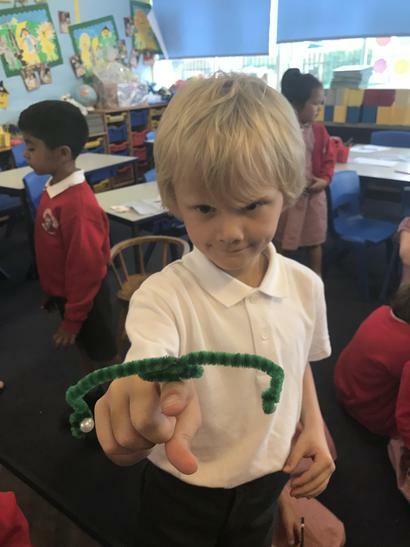 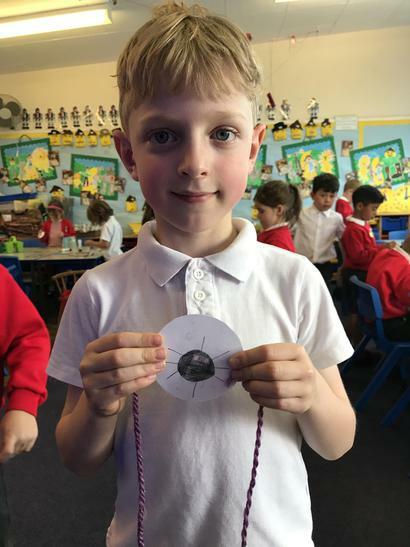 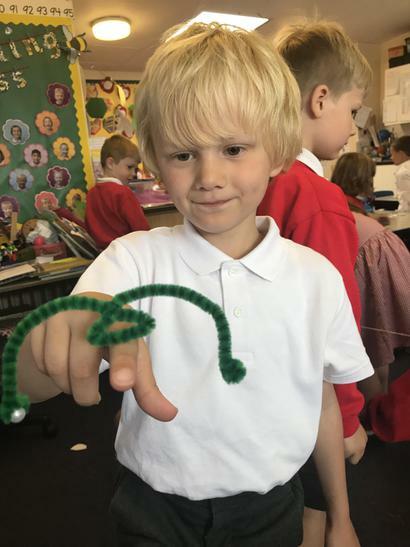 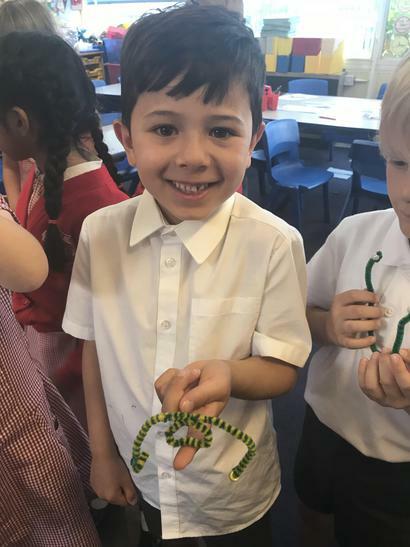 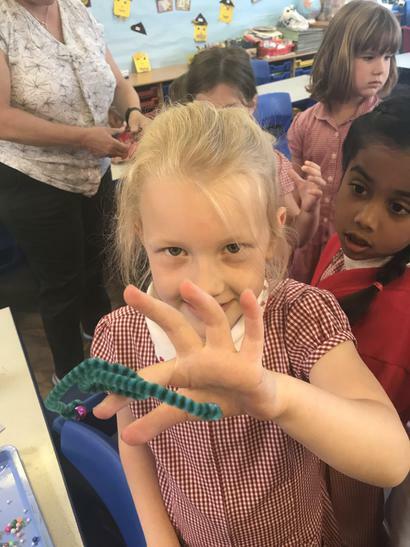 We also made a 'Bendy Balancer' out of a pipe cleaner and 2 beads. 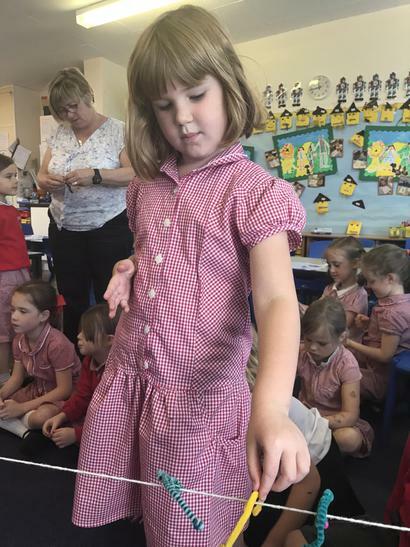 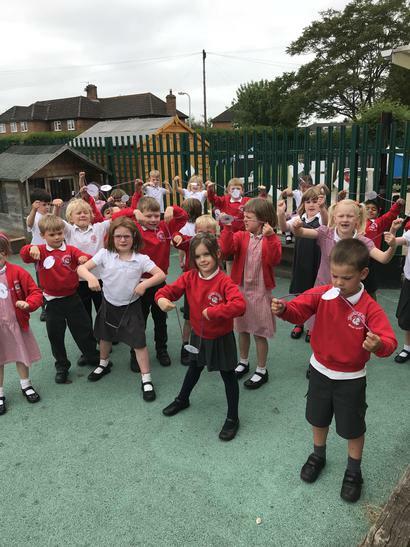 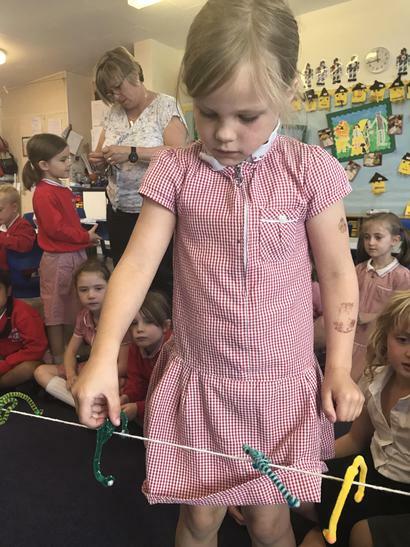 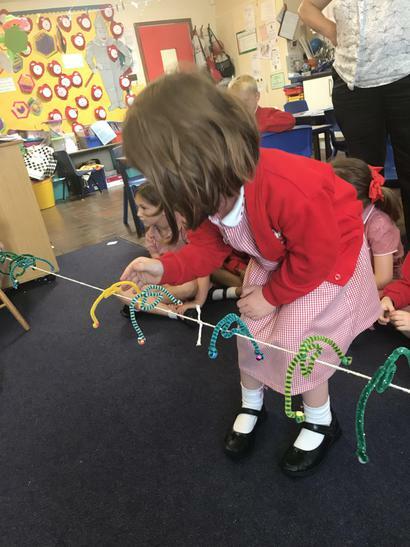 Mrs West challenged us to balance all 30 on a length of string and we did it! 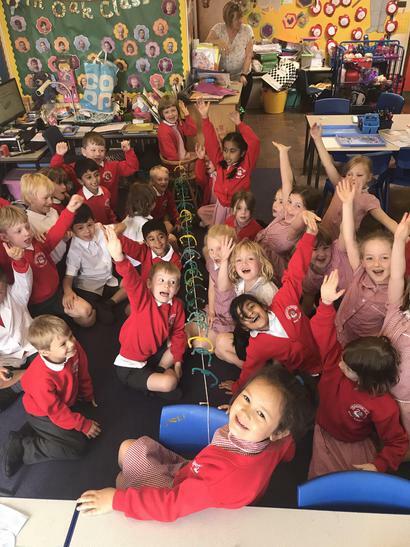 Friday: Today Oak Class joined the entire school in the playground for a competition to build the tallest tower with spaghetti and 12 marshmallows! 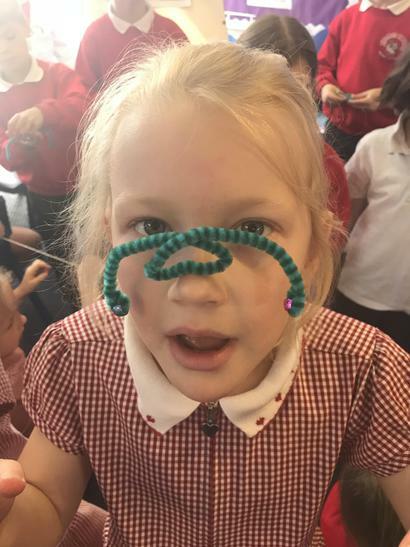 It was so hard because all the spaghetti was breaking! 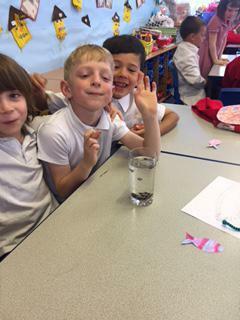 The winning team made a tower of 49cm and Hardy and Oscar were in that team.